Basically, we are talking about a very small number of Jews. According to Jack Wertheimer’s reading of the Pew Study, there are only 168,000 adult Modern Orthodox Jews, most of them baby boomers and senior citizens. At best, we have 30,000- 35,000, maybe much less, in the bracket of college age through millennial. (Feel free to correct the math.) In addition, among those between the ages of thirty and forty-nine who have been raised Modern Orthodox, fully 44 percent have moved religiously leftward; among those between eighteen and twenty-nine, 29 percent no longer identify as Orthodox. Most of the discussion was about ideological issues; however ideological debates are a sign of vitality. Almost any intellectual circle of the last 200 years involved thousands and not more. But to ask a question about survival, the key issues are probably demographic. Is there enough younger Modern Orthodox Jews for endogamy only among themselves? If not, which community are their spouses coming from? Are they marrying those who grew up in a liberal movement willing to keep a kosher home or are they marrying those raised in a yeshivish home that are willing to be a bit more modern? The original Breuer’s community dissipated its ideology through marriage and residence patterns. Can such a small number as Modern Orthodoxy keep out broader influences? Unlikely. When discussing survival, are there enough members to maintain the current Modern Orthodox institutions? We know from Protestants groups that those that own property and institutions survive better than those who do not. But which groups and people in this small number hold the money and the institutions? Those arguing for a split: have they already calculated who is going to pay the bills? If you look at those on the boards of the Modern Orthodox institutions, which side on they are? Conversely, and more importantly, there needs to be institutions to cater to the millennial and younger. Do they have the institutions that they need? You read every week about the likes and dislikes of millennials, hipsters, gen y and gen z. Are the institutions still catering to the baby boomers and gen x and ignoring those in their twenties? Are there enough institutions and leadership in the neighborhoods that younger Modern Orthodox Jews are moving to? Much of the demographic loss of the Conservative movement was the demographic movement out of the Northeast and out of working class neighborhoods towards the South and West and to wealthier areas. For those not Modern Orthodox moving home, are there enough institutions in the new areas? For example, the hottest neighborhood for young Jewish couples is Brownstone Brooklyn and it distinctly does not have a strong enough Modern Orthodox presence compared to the Upper West Side leading to attrition from Modern orthodoxy. (However, as I type this Rabbi Ysoscher Katz will now be a pulpit rabbi in Park Slope, this is more significant for demographics than just one pulpit). In general, there is a return back to the gentrified cities from suburbia. Will there be Modern Orthodox resources? Looking at it from the other direction, many of the Modern Orthodox congregations in less affluent neighborhoods became more Yeshivish in the 1990’s. As I have noted before, the Pew statistics show that one must currently be in the top 6-7% of American income to be Modern Orthodox. What will become of the less affluent Modern Orthodox suburban neighborhoods and those who move out of affluent Modern Orthodoxy for financial reasons, where are they going? 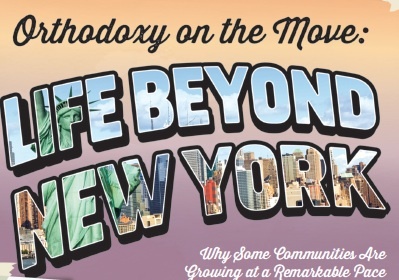 Modern orthodoxy in the South and West deserve their own discussion, most of those looking at the community are New York centered or Boston to DC centered. (Poster above from an OU career fair encouraging people to move away from NY, this migration will have unintended consequences). Then there are many other significant factors that will shape the community in the future. To take a small example, Norman Lamm molded the new heroic centrism through the unacknowledged affirmative action for YU students to be accepted into AECOM, creating a strong core of Modern Orthodox physicians. Now, Touro has acquired a medical school and is quietly embarking on the same process, while YU has probably lost tight control of AECOM. In the 1980’s philosophic discussions by Modern Orthodoxy gave way to medical ethics as a response. What are the conceptual responses to the new fields of the 21st century? No one mentioned the vast influence of popular culture on contemporary Modern Orthodox rabbis who show relevance that way. That may be an ideological divide of the future from those who see it as lacking Torah. Where will those looking for healing and pop psych turn? What about the influence on Modern Orthodoxy of the decline of Evangelical religion and the turn towards spirituality? What about those who feel overwhelmed by their secular lives and want purity before God? The ideological debates in Modern Orthodoxy were framed by the articles as internal to the US. What is the current role of Israeli religious ideas? Are the liberal writings of the New Religious Zionists changing American Modern Orthodox Jews? Will the widespread use of Rabbi Eliezer Melamed’s halakhic works lead to the adoption of his ideology also? Prof Wertheimer got the data absolutely correct that the break in the community does not run between two institutions, rather within each institution. A solid percentage of RIETS graduate are quite liberal and even more so on the college level, while not everyone at YCT is liberal or even in favor of partnership minyanim. The divide is greater than the given institutions. The vast majority of IRF members are YU graduates; those involved in the tefillin controversy and the smicha student at a partnership minyan was at YU. YU actually has greater number of graduates, especially in the millennial and younger, that have gone liberal, are GLBT rights advocates, or push for a liberal agenda. This topic should not be pigeonholed into institutions. Whereas Wertheimer got it correct that the division is within the schools, social media likes clean boxes and places everything on the handful of people at YCT and not YU. Yet, the majority of those on both sides of the debate share the same synagogues, day schools, summer camps, and gap year programs in Israel. This is not two echo chambers, rather two sides of one organization. More importantly, there is wide spread grassroots support for the idea of an Open Orthodoxy. A solid plurality of the Modern Orthodox world would want to be Open Orthodox as a vote of protest. Among the many things they want are included social inclusion, social justice, aesthetics, spirituality, academics, or just the same but without the judgmental attitude and provincialism. People who have never met anyone from YCT or IRF are calling themselves Open Orthodoxy. It is becoming a catch-all for college students who want to separate themselves from their parents and older siblings, for social Orthodox, as well as for empty nesters who are leading more expansive lives. Now to the major point, there is not a single partnership minyan affiliated with any Orthodox synagogue, either connected with YU or YCT. It is laity driven. Many of the partnership minyanim post on their websites that they are open-orthodox but they are not sanctioned by anyone in YU or YCT. The practice of the laity is not based on statements from YCT or their advocating for partnership minyanim. Just like my prior posts on Sweatpants Judaism, Social Orthodoxy, or Half Shabbos from three years ago, the laity is stretching its practice without concern for either side of the ideological debates. The 40% of Modern Orthodoxy college students who have attended a partnership minyan are not looking to either side for a blessing or permission. Even at the height of the debates at the start of 2014, I was invited by email to two local private partnership minyanim, neither had any rabbinic blessing, and I received notice of two new out of town partnership minyanim that were just formed by the laity in reaction to the debates. In the early 1990’s the newspapers started writing that Modern Orthodox meant lax in mizvot, Chaim Waxman and others responded by stating clearly that philosophic modern Orthodox is rigorous in observance and should not be lumped with sociological modern Orthodox. The clarification was quickly accepted. There is no clarification right now about the differences between laity driven Open Orthodox and the IRF vision. If they wrote such a clarification, it would also be quickly welcomed. I have had people tell me, including, or especially, some of the new modern Yeshivish bloggers that they thought YCT, JOFA and the Torah.com are one, that they thought that they are teaching Biblical criticism at YCT, and that YCT is an advocacy group for women wearing tefillin and partnership minyanim. They honestly do not know that YCT is just Gemara and shiurim in halakhah culminating in Yoreh Deah. They neither sponsor the liberal innovations as an institution, and they do not have academic courses in Bible or Talmud, as YU does. Those who went on to gain notoriety had their graduate degrees from elsewhere. In general, there is too much talk of ideology and too many assumptions about the role of ideology in social dynamics. I invite people to read the articles in the Jewish journals between 1960-1963, when they were filled with speculations if the Conservative movement could survive a split. They pointed out how having both Orthodox Halakhic scholars on one side and Reconstructionists on the other side was going to kill the movement. Then when both extremes broke in 1962, few of the laity were even aware of the break nor did it play a role in the immense growth of the Conservative movement in the late 1960’s and 1970’s to become 60% of American Jewry. (Orthodoxy rapidly declined from 60% in 1950, to 22% in 1960 to 9% in 1970; now we trumpet growths back up to 11% as world-changing). The decisions in the field by pulpit rabbis played a bigger role than any real or imagined ideological decision. There is a bigger issue that was correctly noted by some of the articles, which is, of the lack of leadership and the lack of a leader that everyone could rally around. The debates of August 2013-April 2014 on tefillin and partnership minyanim show that there are different leadership models out there. Many of the baby-boomers educated before the gap-year phenomena do not look to Roshei Yeshiva or feel beholden to them. They look to pulpit rabbis. Those whose spiritual formation occurred in Israel and then their formation continued with their Rosh Yeshiva upon return cannot see any other place to look for authority. Many of those below a certain age, now feel alienated from the worldview of these same Roshei Yeshiva and also do not look to them. During the controversies, I personally refrained from making a single comment; rather I kept asking various threads on Facebook about what was the core of the controversy. What emerged were two clear opposing views of leadership. (I saved the threads to analyze later). Those two positions consisted of those that deferred to Roshei yeshiva and those who did not. Avery Dulles in his Model of the Church discusses the Catholic approaches to religious leadership, and his analysis can be applied with some modifications to other hierarchical traditional groups. One side clearly put their trust in Roshei Yeshiva and looked to them for legitimation, guidance, and authority. They emphasize hierarchy, correct beliefs and practices and authority. Those who were on the other side of these debates had three of Dulles other categories. Some saw Jewish leadership as community based with a pulpit rabbi in charge who can lead the community and respond to their needs. Judaism is defined by the community. This group values the activism and flexibility of pulpit rabbis over Roshei Yeshiva. A claim about who has mastered more of the sacred texts does not matter if your question is who is responding to the community. Others, invoked Hasidic texts about the infinite of Torah and our need to respond to the personal call of the Divine. Torah is not in the community leaders of whether variety but in our souls. Finally, there were those who argue for a democratic community of learners who make their own decisions based on their own education. They consult with Rabbis as teachers and resource people, not for authority or decisions. The major leadership category of Dulles that the community did not display was rabbi as servant looking to help the common people, as in the older neo-Hasidic tales. One major observation of the rhetoric of this past year was the binary split in which one side argued for submission and the other side argued for openness. Prior forms of modern Orthodoxy from 1800 and onward always sought to take the best of culture. To display to oneself and others that one has a reasonable faith then one need to combine the best of both cultures. Modern Orthodoxy accommodates by reinterpreting tradition in light of contemporary values, understanding contemporary values in light of tradition, or it compartmentalizes. On a deeper level, there is dialectic, oscillation or synthesis between revelation and reason, revelation and man’s conscious, of authority and human feeling, reason, and morals. Modern Orthodoxy seeks to always be located in a conceptual middle. (Even if it is only a few percent of the population.) In order to claim to have the best of both worlds then one has to display to the world and at least convince the Modern Orthodox community that it is moral, tolerant, enlightened, modernist, sophisticated, educated, or any other modern value seen as positive. However, much of the public fight over the last half year has been one side asking for submission and obedience and the other side arguing for openness. Neither side is using the classic Modern Orthodox formula of synthesis, dialectic, or tension. Finally, the essays seemed to be Baby Boomers defending their view of Modern Orthodoxy against the Gen X’s Centrist vision of Modern Orthodoxy. One gets a feeling that the gen x may be blinded by fighting against the baby boomers for the rest of their lives, leaving them unable to see the twenty something’s younger than them. Or to frame it by decades, just as certain Baby Boomer Modern Orthodoxy authors still define Modern Orthodoxy as the early 1970’s and have proclaimed the death of Modern Orthodoxy since 1983, I fear that certain younger authors will always be cheering for the more Yeshivish turn around in the late 1990’s despite further changes in the community. Will Modern Orthodoxy Survive? Modern Orthodoxy is both terminable and interminable. All constructions of modern Orthodoxy are culturally situated and ever bound to a specific time. Even a single version consists of many trends, sub-movements, and cultural shifts. All varieties of modern Orthodoxies have commonalities based on ideology, people, institutions, and texts, yet they are all terminable in that the resources, concerns, needs, and connections to other movements are all tied to a specific era. In our modern age, these constructions change regularly and rapidly, not that there is any specific need to respond to change, to assume any agency to change, or even to accept the changes. One can personally continue to argue for a given ideology, but often one finds that it is hard to hold back time. There will no longer be a mass migration of near-illiterate peasant Russian Jews, nor will there likely be a need again for a response to the high modernism of Kant, Freud, or Existentialism; however, the need for articulate ideologies will remain an interminable need for religious communities. Modernism and mid-20th century modern Orthodoxy may be gone, but, we can see that each era with their own ideology offers the needed construction for its community. Modern Orthodox communities function as a web of useful social support and a satisfying sense of social belonging. But what are the boundaries of the community and how does it handles deviance? Academic sociology is not the same as the popular use of the word sociology for a collection of anecdotes held together by association and worldview. Gallagher, in contrast, as an academic sociologist in training started with a clear social theory of Durkheim that social groups become weakened and lose their function when there are many who do not play by the rules. According to French sociologist Emile Durkheim, the social group would have a functional need to exclude deviants and would use the dividing line for its own self-definition. The deviant act then, creates a sense of mutuality among the people of a community by supplying a focus for group feeling and draws attention to those values which constitute the “collective conscience” of the community. One see the Durkheim approach on social media, but Gallagher shows that Durkheim’s approach to deviance is not the reality among college students. In fact, one can be a deviant and play a large social role. Gallagher as an outsider to MO(Modern Orthodoxy), noticed that many members of the group freely eat out or did not keep many rituals. In the thesis he explores the question: how can one be non-observant and still part of the MO community and how can the group maintain its cohesion. The answer that he found was that the community adheres by social cohesion and not ritual cohesion. MO practice is as pliable as sweatpants allowing for greater and lesser observance. In the thesis, Gallagher notes that the MO “are rather insular. They are apart and communal, living together, eating together, learning together, and praying together. Someone who is not in the community and has superficial knowledge of its activities might view it as foreign.” The thesis was born “one conversation on a Sunday evening when a friend of mine, who was well-integrated in the campus Orthodox community but less observant, decided to order sushi from a non-Kosher restaurant for delivery to campus… From there, I began to wonder how Orthodox Jews choose to follow or ignore Jewish law and how those decisions impacted their religious community? The students interviewed in this study live in MO enclaves, attended the famous day schools of Manhattan, Riverdale and Brookline, went to summer camp and gap year. Not surprisingly, “many of the students interviewed expressed similar patterns of religiosity within their household. The family identified as Orthodox but may not stringently observe the laws of Kashrut and Shabbos, as Orthodox families are largely expected to do. This type of behavior sets a more individualized and lenient standard for religious practice among children of the households, one with which they may be most comfortable.” There has been much less of a shift to the right that its proponents and critics think. “The families, who may not have stringently observed Jewish law, worked to create an image to the larger community of strict religious observance. Activities inside the home that violate the Sabbath, such as turning on lights or watching television, are accepted because they were out of the public eye. Driving, an activity that takes place outside the home and can be seen by neighbors, is avoided. Such regular behavior inside a family can create a standard of religious observance along the lines of “it’s okay to break laws if no one sees.” I see similar observance patterns here among their parents in NJ. The gap year is not necessarily a game changer, he found that “gap years experiences could be categorized into three main groups among my respondents: they became more religious in practice, they became more involved in Jewish learning, or they were unaffected by the experience.” He makes a valuable distinction between Jewish learning and ritual observance; they are two different groups. Gallagher notes how the MO affinities grow from enclave to its first expansion and shuffling of networks during the Gap Year and a second shuffling at college. Students arrive with this vast and comfortable network. “Even if an Orthodox student… decides that he or she wants to distance himself from religion, he or she will still find himself within the Orthodox social network. It is a very easy network to connect with upon first arriving on campus, and many students may include themselves in the Orthodox social network in the first semesters of college simply because it is culturally familiar or because they have friends who are a part of it.” Students speak with older MO peers before choosing to attend a specific college so even upon arrival they are already connected. Gallagher labels one group on campus as “liberal Orthodox Jews” who consider themselves to be fully observant but may hold more progressive ideologies or interpretations of halacha.” Another group he identifies as “traditional Orthodox Jews” are fastidious in their practice and consider themselves to be fully observant. And a third group as “Fringe MO” who do not attend or work within the community but are still included. His thesis showed that within the MO community on campus “the social hierarchy is largely divorced from religious observance. In other words, it is possible to be popular within the Orthodox campus community without being religious. It is possible to be popular and command social influence within the community without necessarily being stringent in religious practice. This divorce between social hierarchy and religious observance is evidenced by the election of less-religious students to the Board of the MO Organization. This is similar to the broader MO world in which board members of schools and synagogues or those that set community agenda are not correlated with observance. From my findings in this college community, I found that being “Orthodox” largely consisted of growing up in an Orthodox community, participating in the Orthodox social network, and continuing to affiliate with the Orthodox denomination and ideology. Orthodox practice was, interestingly, not a prime concern. Thus, identification with Orthodox ideology and engagement in Orthodox practice were divorced concepts. “By tolerating the religious practices of less-observant Orthodox students and creating a space for them,” the MO community “sets for itself broader standards of acceptable religious practice. The entire mechanism helps keep students in the community who may be tempted to move away from Orthodox Judaism during their college years.” There is an ideal of “refraining from judging their peers.” and striving to reach that tolerant ideal. Such language allows students to take a step back from their own practice to contextualize their own practice within the diversity that exists in their community. However, it also indicates an attitude of tolerance, as oppose to acceptance. The idea of being in “different places” harks back to a “live and let live” philosophy; Orthodox students attempt to withhold individual judgment on their peers and simply coexist in peace without engaging with the fact that people observe the religion in different ways…Being tolerant of that diversity is, therefore, being presented as a virtue, while openly expressing disapproval of that diversity is frowned upon. Deviations, therefore, are seen as struggles along the way to meeting that standard instead of meeting a completely different, lower standard. Once it is believed that everyone is striving for that same religious standard, it is easier to include everyone in the community regardless of the stringency of their current religious practice. In reality, everyone is not striving for that same religious standard. By designating those students as “fringe,” it recognizes their choice to lessen their engagement with the BOO community and also serves to identify them as not following certain social or religious communal norms… I want to note that students who begin to drift from traditional practice are not simultaneously drifting from ideology. The vast majority of students who admitted to violating certain components of halacha still identified with Orthodox Jewish ideology. Fringe members still subscribe to the belief system of MO Judaism and the observance of Orthodox ritual in theory. In contrast, if one is observant of kashrut and Shabbat but adopting a different, more liberal Jewish ideology then one is out of the community, but if one does not keep kosher one could still be an active member of the MO community. The Orthodox divide from Conservative and other liberal movements is wide even for the fringe, lenient, and liberal. The Conservative rabbi on campus is barely accepted as a source of knowledge let alone authority. I find myself thinking of this as “sweatpants Orthodoxy,” in that Jewish practice is like wearing a pair of pants. Modern Orthodox Judaism is a snug pair of jeans: comfortable but without much room for gaining or loosing weight. The type of pants in an Orthodox campus community, however, may be more like sweatpants. As one becomes “out-of-shape” with their ritual practice, the sweatpants expand and continue to fit. Upon graduation, the student can get back in-shape and the sweatpants contract following their increasing level of observance. Thus, having broader standards may allow for experimentation and individuation during college years and permit students, through the sweatpants model, to resume practice later on. He discusses a group of students connected socially to the MO community that have been hosting parties with music and dancing… each Friday night. One of his interviewees acknowledged that her friends still often attend these parties, they do affirm their discomfort together with the setting and recognize that it does not align well with their values of religious observance. Gallagher notes that his interviewees have a tension but they definitively have not resolved the tension. “The pressure to move away from strict observance of Jewish law does not necessarily come from outside the Orthodox community but often from inside by other Orthodox students who are still part of the community despite being minimally observant.” Respondents also expressed a desire to avoid causing embarrassment for or appearing to cast judgment on the hosts of the party. The social pressures and social criteria for inclusion win out over the religious pressures. In detail, the observant students are motivated to prioritize their social relationships over strict religious observance despite their discomfort with it. The paradox of community exists here between the students observing Shabbat to their standards but desiring to spend time with friends in a less-observant environment. Party attendees prioritize the social-end of the paradox, which helps legitimize the less-religious environment and include the Fringe hosts within the Orthodox community. In addition, most Fringe MO students “whose engagement with the community is largely social” do not relate to the JLI emphasis on ritual and religion. Those who are not as engaged with traditional religious practice and learning but part of the Mo community would be better with different programming. As a sociologist, he notes surveys of the Jewish community only look at five key Jewish rituals, attending a Passover seder, lighting Hanukkah candles, fasting on Yom Kippur, lighting Shabbat candles, and keeping a Kosher home. Each ritual had a compliance rate among Orthodox Jewish respondents of at least 95%, with the exception of lighting Shabbat candles, which only had 91%. However to gather data on MO one needs to ask about kosher out of the home, how they keep Shabbat, or saying daily prayers and blessings. *There is no need to even mention God, religious experience, devotion, or spirituality; the operative factors are community values, commitment, and belonging. *Much of this inclusion of social Orthodoxy also goes on in the major synagogues and institutions and their boards. *Historians and sociologists need to speak to laity more and not just interview Rabbis. * Much of the changes to Modern Orthodoxy are driven by the laity who is way more deviant than even the most liberal YCT rabbi who is still in the system. The Open Orthodoxy trend is sweeping laity without necessary having any rabbinic approval. It is similar to the Conservative movement laity and Modern Orthodox laity of 1955 that was way more lenient than anything that could have been at the time Rabbinic sanctioned. * Practice is not necessarily decided by a posek, rather by a person they are personally close to or use as a role model. * There has been much less of a shift to the right that its proponents and critics think. Late 40’s and 50’s parents produced children similar to themselves in religiosity. * There are three groups: those that define themselves though study, those that define themselves by ritual observance and those that are entirely social. While an ideal assumes that study and scrupulousness go together, it may not be reality. Now, we have those that want a daily halacha or ten minutes of halacha as a shiur, and those who want a challenging text. Pulpit rabbis, however, may have to, or may already be, catering to those who have entirely pop culture and social interests. * There are many more families than we acknowledge that may not be observing Jewish law, yet they work to create an image to the larger community of strict religious observance. They do activities inside the home that violate the Sabbath, such as turning on lights or watching television, which are accepted because they were out of the public eye. Driving is not socially OK.
* Unlike the Baby Boomer’s who wanted to be individuals, unique, hippies, disestablishmentarians who lived in the moment. Here there are no Kotzkers or Kierkeguardians. * The line between Modern Orthodoxy and members of the Conservative movement is hard and one of the few things that actually are deviant. Any thoughts? Those who work on Campus, does it ring true? The AJC (American Jewish Committee) was known for decades as supporting the complete integration of Jews in America, as exemplified by its white shoe leadership under Joseph Proskauer and Jacob Blaustein. The best example of their approach is the Blaustein- Ben Gurion agreement, included in the widely used documentary history book Jew in the Modern World. Blaustein believed that the view of the Jew as doomed to hostility and lack of integration was irrelevant to the robust Jewish community in the U.S. In exchange for American Jewish support for the new state, Ben-Gurion was forced to acknowledge that the State of Israel spoke only for its own citizens and that Jews in other countries had no political obligation to the State of Israel. Ben-Gurion gave public recognition that the future of Israel depended on not damaging the health and security of American Jews. (For more info- see here, here, and here.) The AJC changed its direction to traditional values and away from universalism under the leadership of Steven Bayme as head of its American Jewry desk. Fifteen years ago in 1999, Steven Bayme was included in the Jewish Daily Forward’s Forward Fifty with the following description. According to his writings, Bayme came to this position after seeing the 1990 Jewish Population study which showed high rates of intermarriage. (See here and here.) Demography created ideology, the way to fight assimilation is old-time religion despite the immense changes in American religion or the firm sociological data on the shift to seeking one’s own path requiring a response of outreach, relevance, and renewal. In Bayme’s view we are to focus on the committed core. We can already write off from Judaism Jon Stewart, Bob Dylan, Joel and Ethan Coen, Senator Al Franken, Aly Reisman, and Adam Sandler. And we can still save infrequent synagogue members Senator Chuck Schumer, Chief Justice Elana Kagen, and Sasha Baron Cohen if only they would attend the Wexner training or Bardin-Brandeis or similar programs that teach traditional Jewish values. The other major formative event for Bayme’s approach is his commitment to Rabbi Yitz Greenberg as the epitome and model for Modern Orthodoxy. In a recent Jewish Week article, Steve Bayme gushed about the recent Oxford Summer Institute for Modern and Contemporary Judaism discussion of Greenberg’s ideas, convened by Dr. Miri Freud-Kandel of University of Oxford and Prof. Adam Ferziger of Bar-Ilan University. For him, Greenberg’s approach is the standard to judge Orthodoxy. Hence, my research has shown that Bayme has the unique distinction of being the very first author to complain about the death of Modern Orthodoxy in 1983 as it retreated before what he considered the almost Haredi world of Centrism . Full disclosure, many years ago he was my Professor for the Yeshiva College required Jewish History class. The class debate was lively and intense since the class was made up of the first years of American hesder students and those who shifted from a more liberal approach to Judaism to the renewed Centrism. His approach clearly shows the generational gap. Even if you disagree with his views or are on the opposite side of the issues, this interview offers great insight into the Jewish Establishment or the traditional insular NY Jewish world shown in the pages of the Jewish Week. 1)Tell me about the committee you formed with Dov Zakheim to make changes in Israeli marriage law? We are forming a coalition of individuals and Jewish organizations both here and in Israel to create alternatives to the laws governing personal status matters, particularly marriage, divorce, and conversion to Judaism. We believe the monopoly of the Chief Rabbinate in this area inflicts real harm on individuals and the Jewish people, for example those wishing to convert to Judaism but cannot meet the stringent tests imposed by the Rabbinate. Our long-term objective is to create a broad-based initiative to advocate for religious freedom and equality, notably with respect to issues of personal status, as a means of strengthening Israel’s identity as a Jewish and democratic state that assures its ties with global Jewry. Attenuated ties between American Jewry and Israel may impact negatively upon U.S. support for Israel. As a result, there is also a national security dimension to this initiative as well. In the short-term we are focusing on the question of civil marriage. Jewish law, as is well known, forbids certain categories of marriages, e.g. between a kohen and a divorcee. By contrast, a modern democratic state does not seek to regulate whom one may marry. For Israel the solution would appear to lie in one of several bills currently before the Knesset allowing for civil marriages (or civil unions). Conversion, of course, may represent a greater challenge and one of greater significance for American Jewry, but, in the short-term, we feel that civil marriage is an idea whose time has come. 2)How do you characterize Modern Orthodoxy as you conceive it and as epitomized by Rabbi Yitz Greenberg? Yitz Greenberg in the 1960s articulated a most compelling vision for Modern Orthodoxy through his courses at Yeshiva University and through his involvement with Yavneh, the Orthodox collegiate organization. 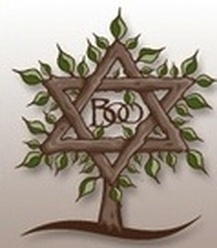 The vision included social activism on behalf of both particularistic and universalistic causes, educational reform within Orthodox institutions through introduction of new courses and programs embodying synthesis, including but not limited to Biblical criticism, engagement with serious non-Orthodox religious leaders and thinkers, Jewish-Christian dialogue, and limited but significant halachic changes. Although this agenda has evolved over the decades, especially with respect to Jewish feminism, it remains a statement of Modern Orthodoxy that is both bold and unapologetic and a clarion call for Modern Orthodoxy to work out its own independent destiny. 1. Secular education and academic scholarship are both valuable in themselves and illuminating of Jewish texts and tradition. This vision of secular education represents a sharp break with Haredi Orthodoxy, which limits the permissibility of secular education to providing skills necessary to earning a living and become a “learner-earner”. Similarly, it breaks with Hirschian Orthodoxy that underscores the value of secular knowledge and science but not for the purposes of understanding Judaism, thereby rejecting critical study of Bible and Rabbinics. 2. Cooperation with the non-Orthodox movements will enhance the Jewish people, and those movements have much to teach all Jews, including the Orthodox. Religious pluralism serves as a brake upon religious extremism and provides diverse entry points and connections to Judaic heritage. To be sure, the yeshiva world does seek to be inclusive of all Jews, particularly through its kiruv programs. The concept of pluralism, goes much further in that it not only acknowledges the fact of religious diversity, it perceives actual value in that different Jews will find different avenues for Jewish religious expression. 3. The State of Israel constitutes a fundamental challenge and laboratory to work out the relevance of Jewish tradition in the modern culture. Unfortunately, Modern Orthodoxy in Israel has been “hijacked” by Gush Emunim, the West Bank settlers’ movement. 4. Feminism and gender equality. Orthodox Jewish feminists stood their ground and did not surrender to right-wing opposition. The RIETS Five issued a proclamation against women’s tefilla groupings back in 1985. At a time when the authority of roshei yeshiva has increased, and much of Modern Orthodoxy lost its verve and independence, Orthodox feminists refused to cede their ground, and the number of women’s tefilla groupings has increased exponentially since then. We are currently witnessing a similar phenomenon in the growth of partnership minyanim. 5. To be sure, there are signs of an incipient and robust Modern Orthodoxy in Israel-the growth of partnership minyanim and Orthodox academics and public intellectuals practicing critical Jewish scholarship, to take two specific examples. 3)How is it different than Centrism or that of your Centrist critics? Be specific. I objected to the word “Centrism” because it replaced the notion of synthesis of Judaism and modern culture with a vague almost geographical statement that we are neither haredi nor Yitz Greenberg and the Orthodox “Left”, but somewhere in between. Dr. Lamm himself, who coined the term “Centrism”, to his credit admitted that the change in name had been a mistake. “Modern Orthodoxy” connoted distinctive value in modern culture and that Orthodoxy was not only living in the modern world but also was in a position to benefit from the positive values of modernity as well as to critique its excesses. The roshei yeshiva at YU obviously are not all cut from the same cloth, but leading figures among them have adopted positions in recent years that insulate their students from the broader currents of modernity, isolate them from critical thinking, and, tragically at times have issued extremist statements unbecoming of religious leaders. As one of the most revered of roshei yeshiva put it some years back, in his view no difference existed between Yeshiva University and Ner Israel except that YU makes it easier for students by providing all of its programming within a 6-block radius. Those are hardly Modern Orthodox positions. Put broadly, Centrism has room for secular education but rejects Biblical scholarship, encourages inclusivity of non-Orthodox Jews but rejects pluralism, fosters women’s education but not equality, and has become subservient to a Haredi Chief Rabbinate on issues related to Israel. All these positions directly contradict what I would call the Modern Orthodox agenda. 4)Wasn’t your vision of Modern Orthodoxy already rejected? Are you not like someone still hoping that George McGovern will be President? Aren’t you, and other baby boomers, just nostalgic for an older vision of modern Orthodoxy? First, let’s not shed crocodile tears over McGovern’s defeat. I voted for him in 1972 out of opposition to the Vietnam War, but I shudder to think what he would have done had he been President during the 1973 Yom Kippur War. Nixon deserved impeachment over Watergate, but let’s not forget he came through for Israel and for us in Oct. 73. That said, the agenda for revitalizing Modern Orthodoxy is rooted in far more than nostalgia for a bygone era. It is partly a protest against the steady slide to the Right, or as some would put it the “haredization” of contemporary Orthodoxy. Partly it represents a clarion call for change among well-educated Orthodox laity, which finds modern culture to be quite attractive and works to marry it with Judaic tradition. What you may define as nostalgia is my conviction that the vision of Modern Orthodoxy articulated in the 1960s remains compelling for 21st century Jews. 5)How can you write off most of American Jewry as not Jewish enough? I do not write American Jewry off. My objective at AJC over more than three decades has been to increase the Jewish atmosphere within AJC as a Jewish organization. That entails working with Jews of all stripes and opinions (including Haredi as well as those unaffiliated with synagogues). What I do say, however, is that we need to speak the truth even if it causes pain to individuals. Those leading more intensive Jewish lives are those most likely to see Jewish grandchildren. But unaffiliated Jews, or “Jews of no religion” in the Pew survey, are the most difficult to reach Jewishly and stand at greatest risk of assimilation. 6)How can you reject outreach to unaffiliated and intermarried? Doesn’t your approach limit revival? Again, I do not reject either the intermarried or outreach to them. I have been misinterpreted here for a very specific reason (which I will explain). But my main point is that the twin values of endogamy, or inmarriage and conversion to Judaism as single best outcome to a mixed marriage largely have been permitted to disappear as articulated values outside the Orthodox community. As for outreach I favor outreach targeted to those mixed marrieds open to and interested in leading a Jewish life and appropriately designed so as to safeguard the values of inmarriage and conversion to Judaism. Why have I been misinterpreted here? Outreach advocates insist that we become neutral on inmarriage and conversion so as not to give offense to mixed marrieds. I do not feel we can afford neutrality on these questions and have been outspoken in opposition to these advocates. Therefore I have wrongly been interpreted as a foe of outreach per se. 7)What is your theory of talented tenth or small group of Jews who sustain the community? I want to see a Jewish leadership that is Judaically rich. Strengthening that core will help create a Jewish community sufficiently compelling that others will wish to join it. Secular Jewish leaders generally are products of first-class American universities. By contrast, their Jewish education has been relatively poor. Wexner programs were designed to create a relatively small cadre of Jewish leaders who were Jewishly literate. The program does send an appropriate message – that Judaic study is a life-long endeavor and we need to enhance the expectations of Jewish leadership in this regard. The great Jewish historian Salo Baron decades ago argued that a relatively small group of 100 rabbis, 100 lay leaders, 100 academics, and 100 communal professionals, who are well-versed in both civilizations could transform the entire ethos of the Jewish community in a positive direction. 8)Isn’t it self-serving to reject most of Orthodoxy and most of liberal Jewry and see yourself (and only a few thousand others) as having a special role? 3.	the great “middles” of Jewish life, the 50-55% who generally want Jewish continuity but are unsure how to realize it. My vision of strengthening the core targets the great middle and aspires to bring them into the core. Orthodoxy, for example, has inspired many to join the core by being such a compelling and attractive community that others seek to join it. 9)What should the community do with the already-intermarried (whose households now outnumber the in-married in America) or the adult children of intermarried (who now outnumber Jews with two Jewish parents under age 25? Work towards and hope for the conversion of the non-Jewish spouse. When that is not in the cards, try to hold onto the children and keep the door open for potential future conversion. But we do need to be realistic and realize that in a free society some people will choose not to lead a Jewish life. It is somewhat demeaning to them not to respect those choices and continue to run after them when they have no desire to be chased. 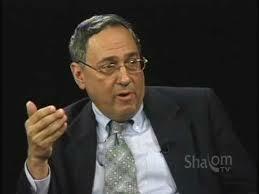 10)As a leader of American Jewry for over 25 years, how do you avoid blame for its sorry state? Do you take any responsibility for your approach as having led to the decline that we are witnessing? No question that the collapse of the twin norms of endogamy and conversion to Judaism occurred on my watch. I also believe that we focused heavily on the external agenda because you could forge a consensus around questions of anti-Zionism, threats to Israel, anti-Semitism, and terrorism. In contrast, there are no more divisive issues in Jewish life than questions of Jewish identity and education. I have tried to persuade the community that if the internal agenda is neglected, there may not be a critical mass of Jews to defend in future generations, but I do confess failure on that score and acknowledged the failure in a memoir I wrote of my AJC years on my 30th anniversary three years ago. 11)With your views that write off most of American Jewry, similar to Haredi view of a silent Holocaust, shouldn’t you be giving to those who do outreach? AJC has never specialized in services to individuals. In that sense we cannot be a “kiruv” organization so much as providing opportunities for Jews to become more active and involved, much as we have done through our justly-hailed ACCESS or young leadership program. Beyond that we define ourselves as catalysts for the community and raising public consciousness through our research, analysis, advocacy, and media skills I note that much of the work of outreach admittedly is done by the haredi community. However, its content all too often is remarkably thin or naïve. 12)What is your position on Revelation and Scripture? What makes that Orthodox? First, let me be clear that I am neither a Biblical scholar nor a theologian. Rather, I am a lay person who has remained fascinated with Biblical scholarship since initially being exposed to it during my high school years at Maimonides in Brookline. Theologically, understanding the context of specific texts enhances our understanding of the meaning of the text both in historical and in contemporary times. I do not think we can pretend that biblical scholarship does not exist or is irrelevant. When historical research and findings contradict truths of inherited tradition, we need to weigh respective claims carefully but with the understanding that the truths of Torah are not dependent upon who wrote the text and whether the facts recorded in it are all factually accurate. I believe that something happened at Sinai, the details of it are a mystery, but the Torah as we have it is the record of that encounter between God and the Jewish people. Portions of it may be rooted in different historical records, but that does not make the text less authoritative as a work of theology. What does make it authoritative is that it is the inheritance of the Jewish people-morasha beit yaacov. As a Jew I treasure it greatly and study it regularly. Portions trouble me on ethical grounds, e.g. Amalek, but I long ago chose to historicize those sections as reflecting the morality of the time. In this sense the Torah spoke in a language human beings could hear-e.g. it could not outlaw slavery much as that would make us feel better three millennia later. Last, there are undoubtedly errors of historical fact and chronology in the text, but we need to recall that the Torah is fundamentally a work of law and theology and not a history text or a book of science. To be sure, there are areas of law that are also troublesome, but here we need recall that Sinai also connoted a hand-off to human beings to continue the process of halachic development. Unfortunately, as Eliezer Berkovits wrote several decades back, that process became frozen and ossified rather than continue into contemporary times. I do admit that critical study often distances us from the text and with distance can come a loss of reverence. Our first task, educationally, must be to inculcate love and respect for the text as the heritage of the Jewish people. In that sense, it is debatable whether critical study ought to be introduced in high school (although, to be sure, in my case it was, and it only deepened my love and reverence for the text). But serious Modern Orthodox Jewish adults do need to be aware of critical scholarship, and I believe many if not most will profit from understanding the context in which the text originated. 13)Do have anything to share about your teaching at YU? Teaching at YU, frankly, was the highlight of my professional career. Never did I feel I was accomplishing so much as I did teaching Yeshiva students and, as many former students commented enthusiastically, opening their minds and broadening their outlook. I always felt YU students could easily attend Harvard and their intensive Jewish backgrounds made for wonderful classroom discussions. They were such a joy to teach that in 1979, my last year as a full-time faculty member, the students asked if I would teach a voluntary Sunday evening seminar on modern Jewish thought. Notwithstanding the absence of compensation (and the miserable state of my personal finances at the time), I agreed enthusiastically. My rewards were spiritual in nature knowing that I had challenged students with ideas concerning the meaning of being a Jew in the modern world and the challenges of modern culture to Jewish belief, for example through the writings of Nachman Krochmal. I am actually to this date still somewhat unclear as to why I was encouraged to leave, aside from the then-stated issues of university finances. When Richard Joel became president I harbored aspirations for returning to an active role. But it quickly became evident to me that Y.U. was not interested in engaging me. I loved teaching elsewhere-JTS, YCT, Queens, and Brandeis-and have built a reasonably successful career at AJC in Jewish public service. But there is no question teaching at YU in the 1970s provided me the greatest satisfaction-a long day of classes left me only exhilarated and eager for more. I left YU with bittersweet emotions, but I have never ceased to value its significance for the future of the Jewish people, notwithstanding our very different visions of that future and the very different roads we have traversed since I left.